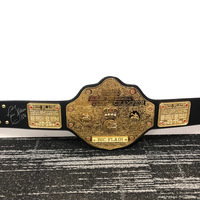 This Custom World Heavyweight Championship Title was presented in the ring by Stephanie McMahon on the February 25, 2019 episode of RAW, during his 70th Birthday Celebration. As Raw celebrated the 70th birthday of two-time WWE Hall of Famer Ric Flair, Batista shockingly stormed "The Nature Boy's" dressing room, dragging an incapacitated Flair through the hallway and asking Triple H, "Do I have your attention now?" 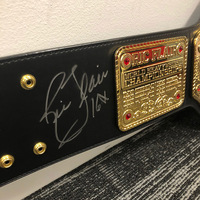 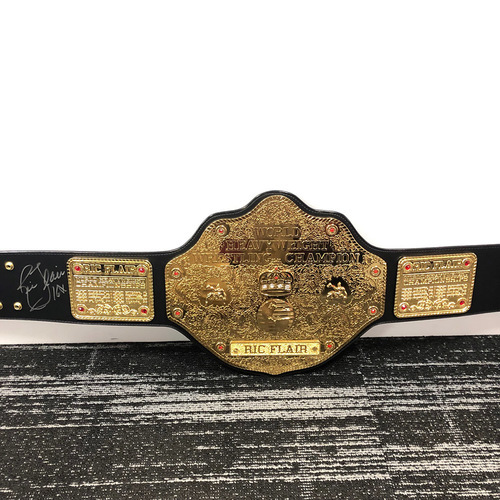 This title was later autographed by WWE Hall of Famer Ric Flair.